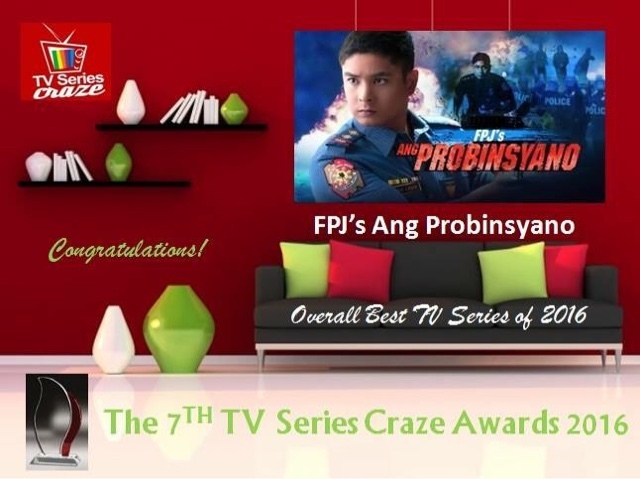 Home ABS-CBN Ang Probinsyano artwork blogging Coco Martin FPJ's Ang Probinsyano The 7TH TV Series Craze Awards 2016 TV TV series TV series craze The 7TH TV Series Craze Awards 2016 Airs in "FPJ's Ang Probinsyano"
The 7TH TV Series Craze Awards 2016 Airs in "FPJ's Ang Probinsyano"
Aside from "Till I Met You," our very own The 7TH TV Series Craze Awards 2016 was also aired in ABS-CBN's action primetime TV series "FPJ's Ang Probinsyano." 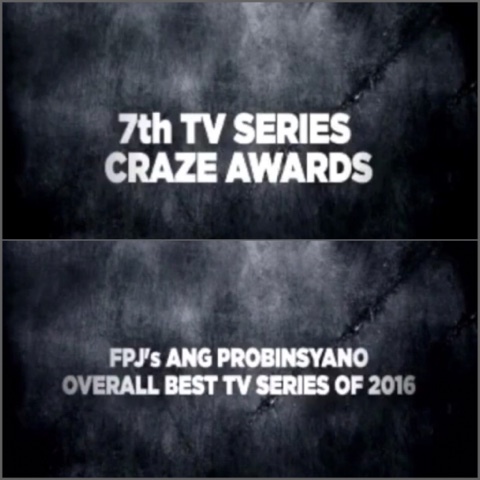 "FPJ's Ang Probinsyano" was hailed as the Overall Best TV Series of 2016. And yes, it also bagged the most number of awards including the Leading Man of the Year for Coco Martin. A new version of this ad recognition is still airing in ABS-CBN during the timeslot of "FPJ's Ang Probinsyano."